You need some Kids Birthday Party Decorations in London and don’t know what to do? 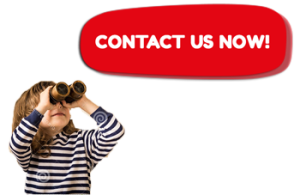 Our experienced Party Decorators and entertainment experts can help you plan your Children’s Parties and decorate your home or venue. Ideas like balloons, banners, flags, confetti, posters, lanterns, and more will make your event even more special. 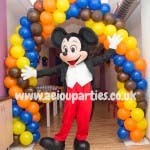 Make the children feel more excited by giving a theme to your kids’ parties decorations in an easy and impressive way. There are some basics you cannot miss when thinking about decoration, at home or a venue you hire. There are always options that can make it fun for everyone! There is nothing that says “There is a party inside” like some decorations on your front door. From a banner, a poster, a balloon flower, or serpentines. Let the guests know they are on the right place! We can decorate walls, windows, ceiling and floor. An incredible balloon rain, balloons on the walls, over the tables, balloons everywhere can even make the party as inviting and fun as anything! Hanging lanterns and party flags so that everywhere they look, the children feel in an awesome festive environment! You can get some nice centerpieces with your child’s favourite character! You can also get the coolest tablecloths, plates and cups with character designs, napkins, and, of course, the birthday cake! One of the most important parts of the decoration and theme of your party!! 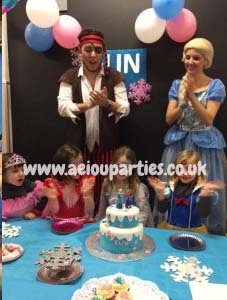 After you have done your decoration, and are ready to receive your guests, then it comes the time to get one marvelous Children’s party entertainer!! You can keep all busy, happy and having fun during the whole time, enjoying every inch of the place and with a huge smile on their faces! !